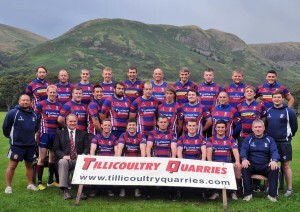 Hillfoots Rugby Football Club was founded in 1971 and for over 40 years has been playing rugby at its home ground of the Public Parks in Tillicoultry, Clackmannanshire, Scotland. The Club House is the Old Mill building in Lower Mill Street which the Club acquired in 1979. There are early stage plans for 2012 & beyond to develop both the playing pitches and club house facilities, read about it here. 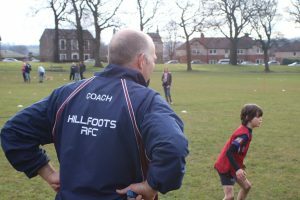 Hillfoots continues to grow every season on the field and off it. Leading from front this year is Eddie Inglis as Club President, together with a number of new additions to the Committee. The Club fields 3 adult teams, a 1st XV, a 2nd XV and a veteran’s social side named The Cast Tups (as a tribute to the Club’s mighty ram mascot). The Junior Section has thrived over the last 8 years under past and present Junior Convenor’s. They have expanded the Juniors from a very small base to over 200 registered members and recruited 25 fully qualified volunteer coaches. The numbers of players and coaches have continued to grow in the current season but were always on look out for more!! There are playing sides in every age group from U6 (P1-3) all the way to U18. Hillfoots is a family friendly club with a welcoming atmosphere. We have strong and positive Club values which put playing and participating above outright performance. We believe winners are not born, they are made. Therefore we invest a considerable amount in quality, positive coaching to bring out the very best in every player. No wonder that Hillfoots has been recognised multiple times in the past by the SRU. 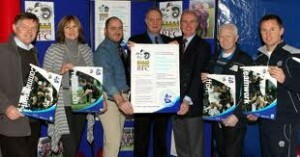 As well as being three times named the fastest growing club in Scotland, Hillfoots was the RBS sponsored Club of the Month for October 2011. In addition, Hillfoots was the first club in the country to achieve accreditation under the newly formed Positive Coaching Scotland & Bill McLaren Foundation partnership. 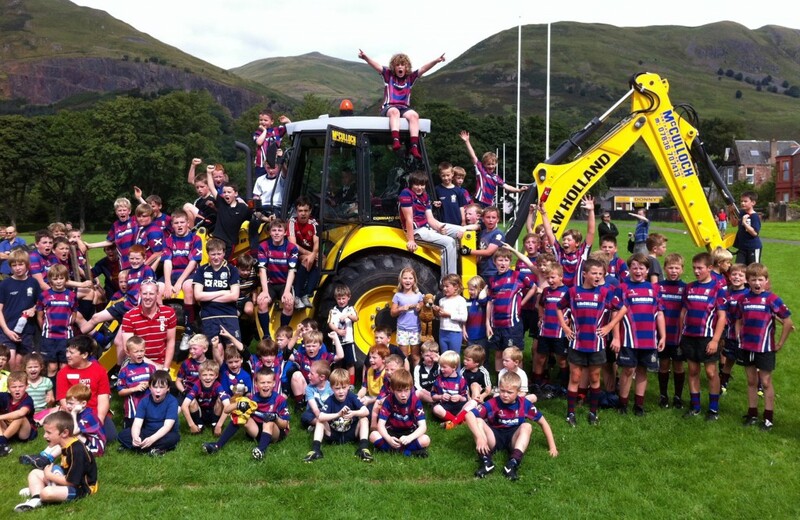 January 2012 saw the RBS 6 Nations Trophy Tour come to Hillfoots, as one of only 6 nationwide stops, in recognition of the Club’s many recent achievements. 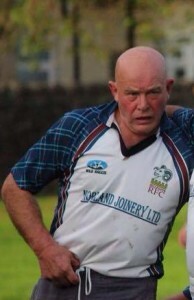 In April 2013, Mike Robins was named Club Volunteer of the Month by the SRU.